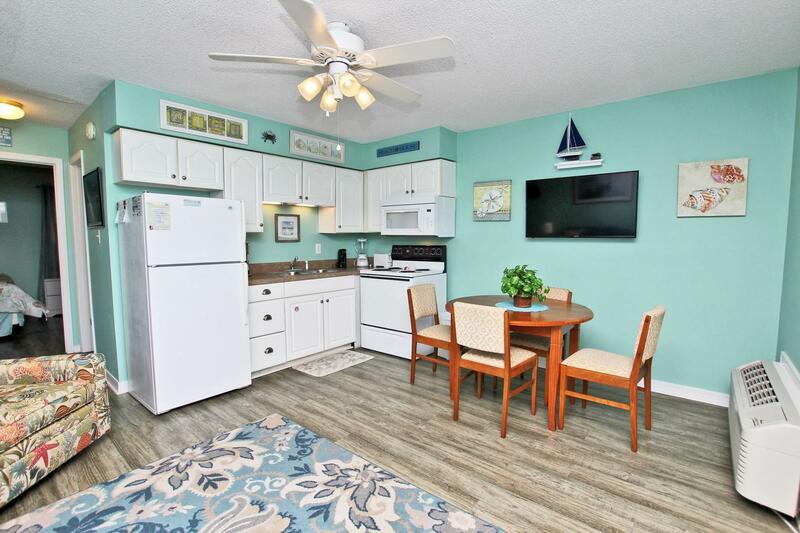 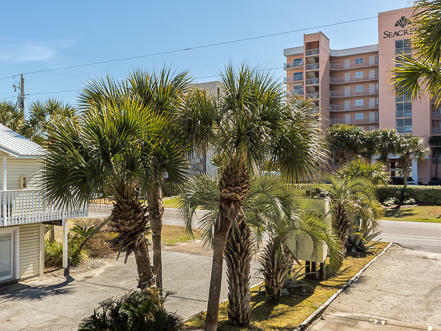 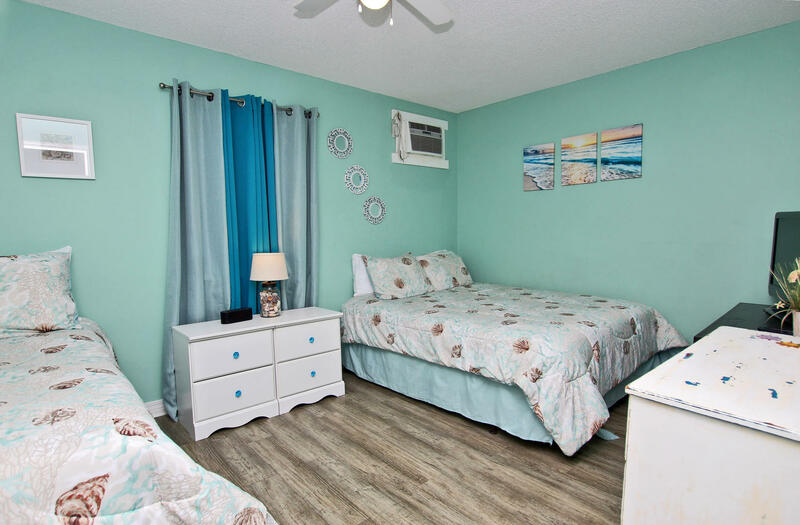 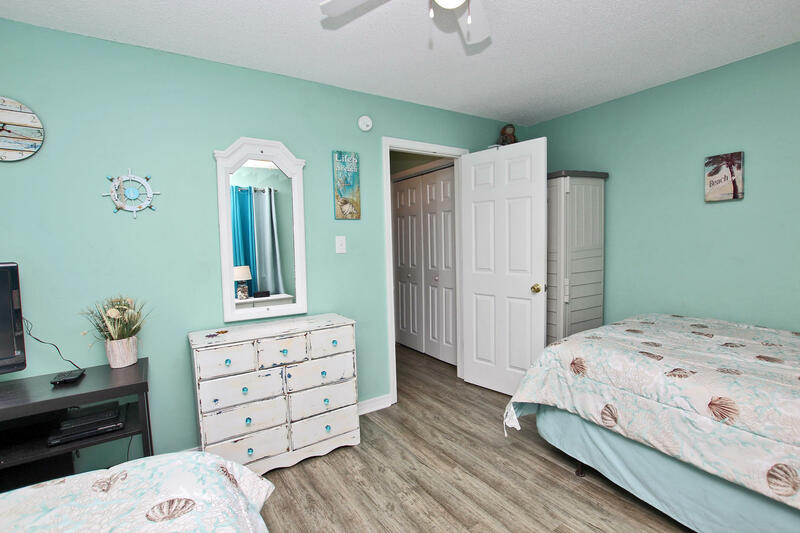 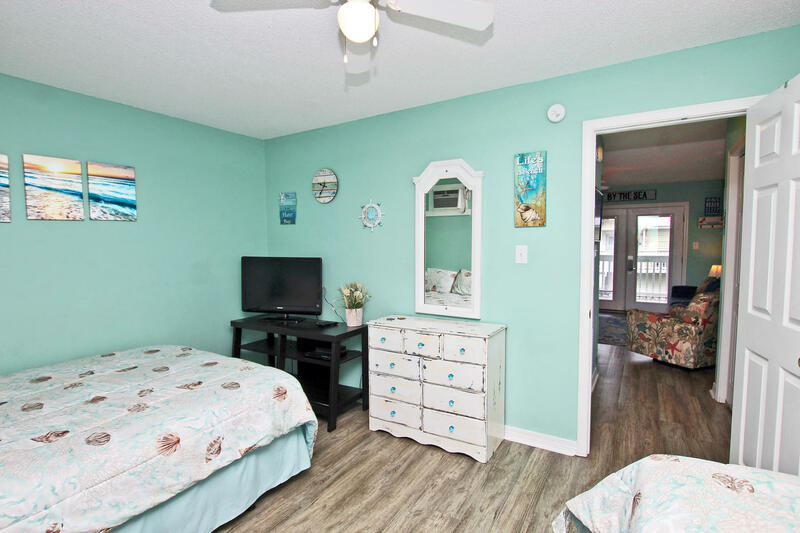 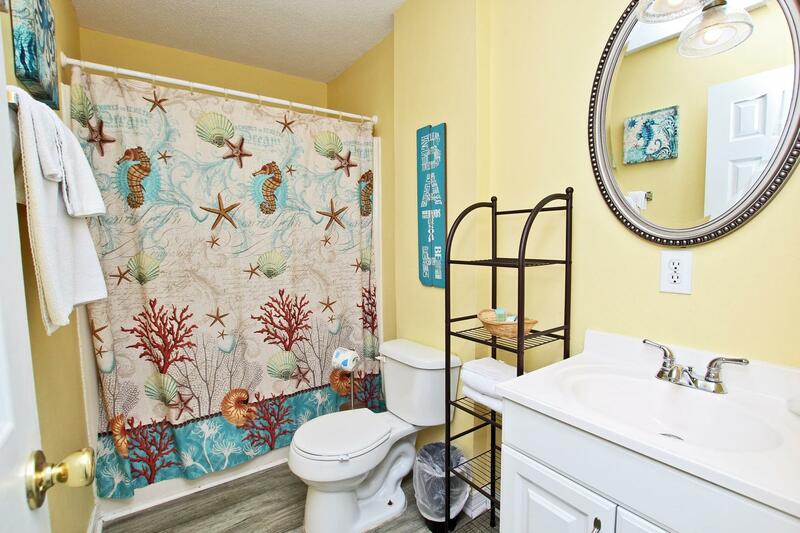 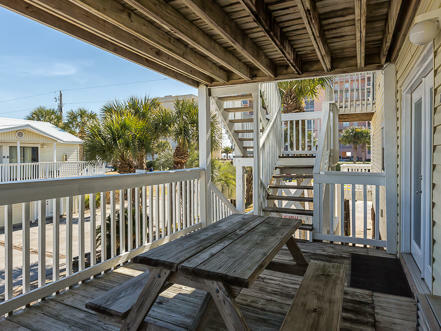 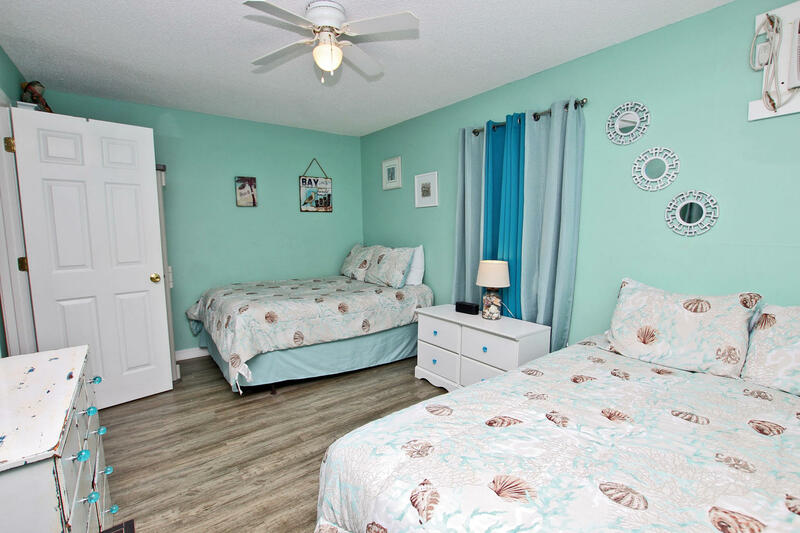 Just across the street from the beach and close to everything.. walk to restaurants and nearby convenience store, just 1.5 miles to the new Gulf Shores park and the Hangout! 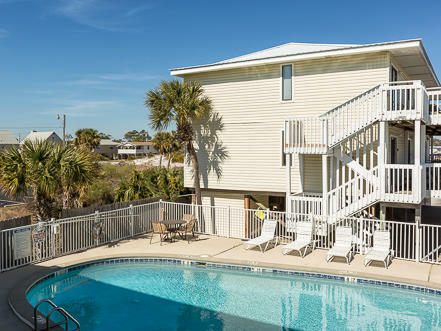 Enjoy sunny days on the beach or in the onsite pool and evenings on the deck! 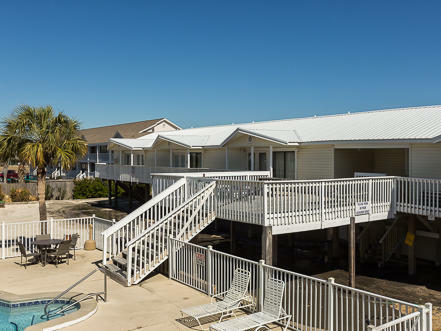 Waterville park, zoo and Gulf State park fishing pier within 3 miles. 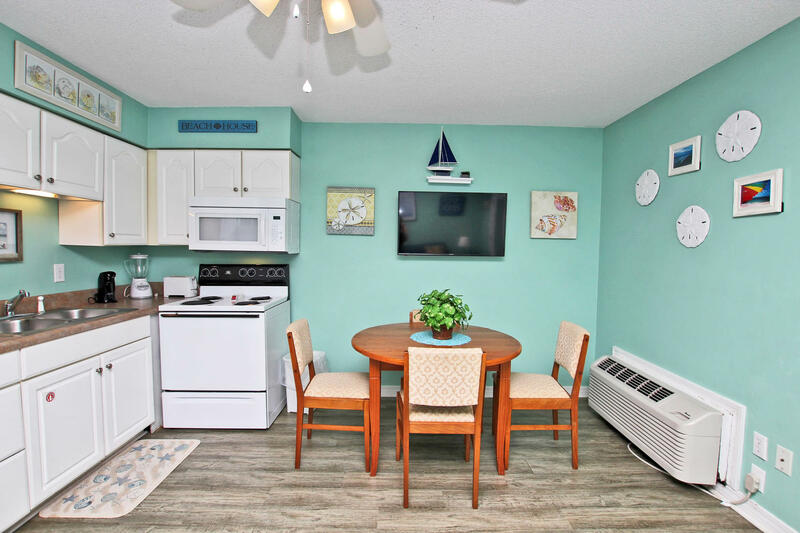 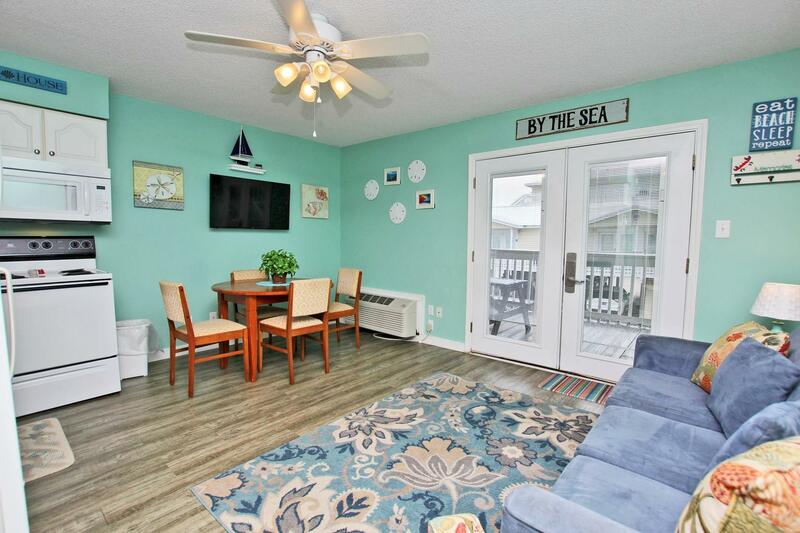 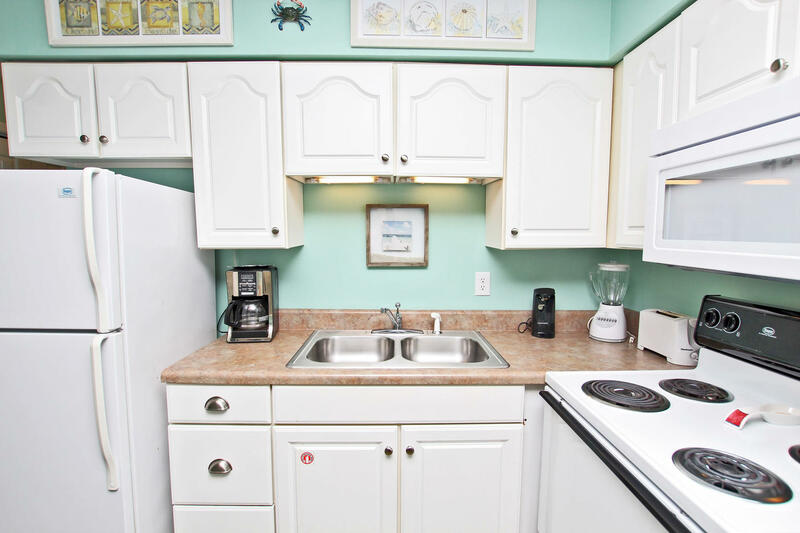 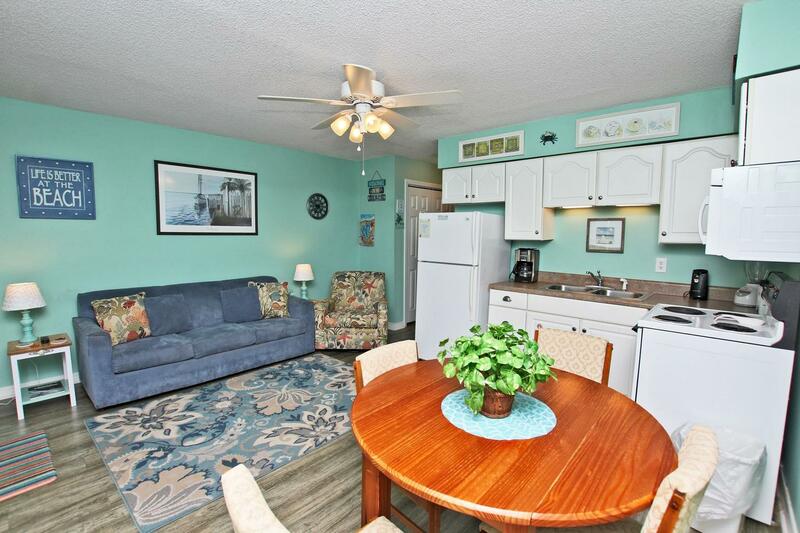 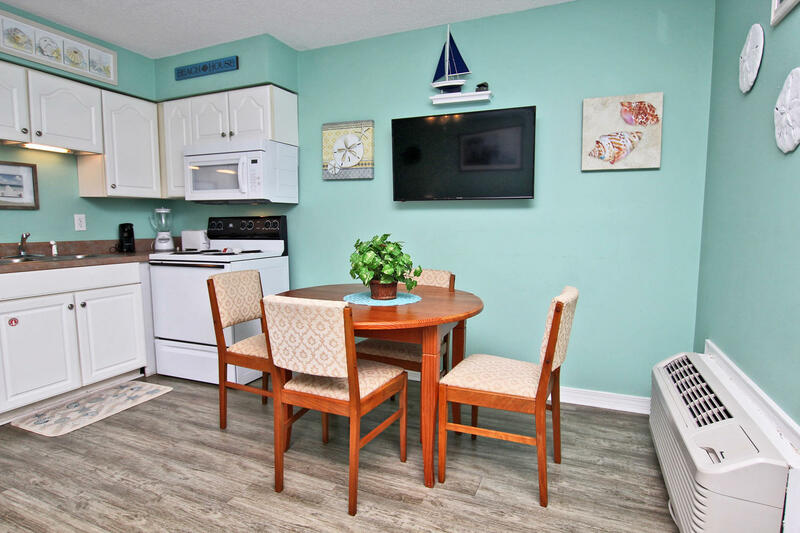 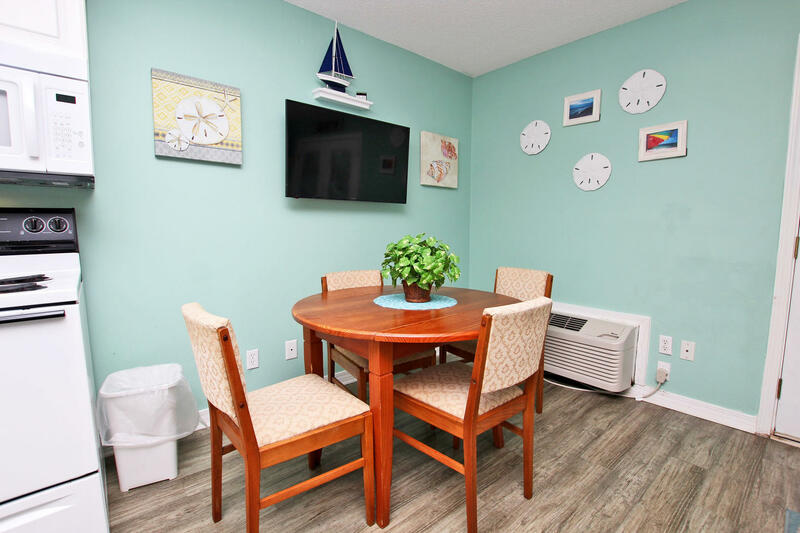 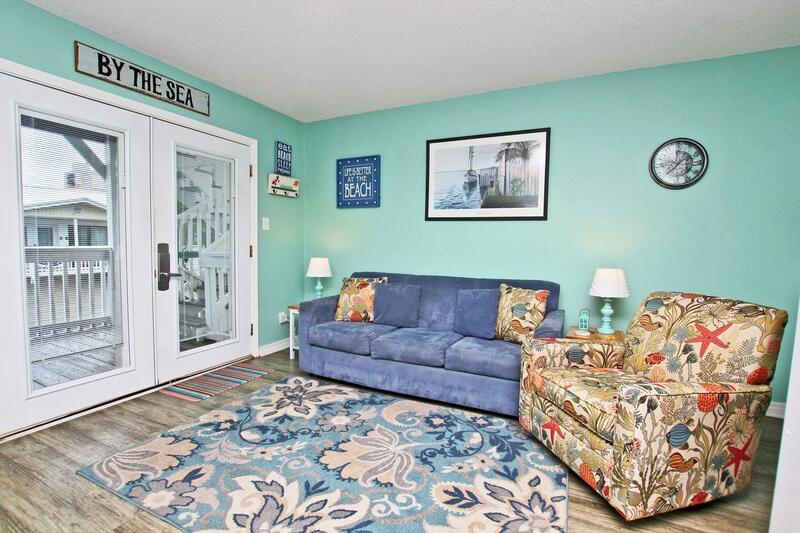 This cute condo with tranquil beach decor includes wireless internet and cable with two televisions. 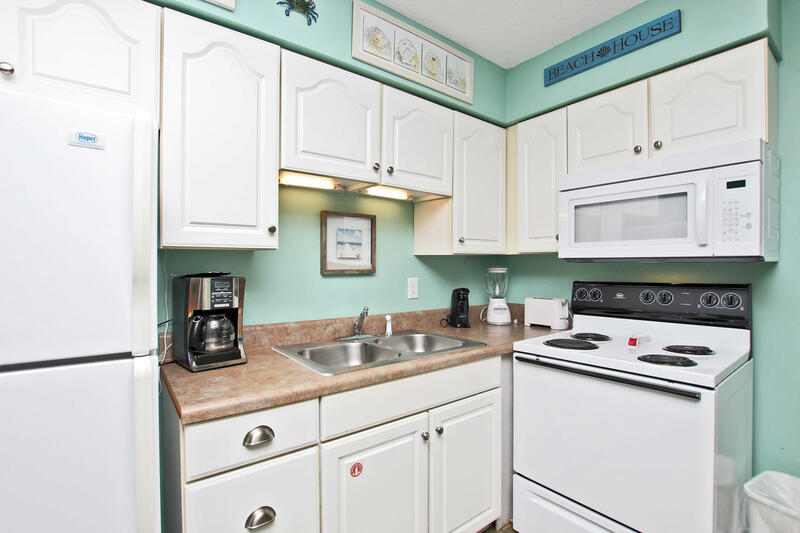 There is a bbq grill and coin operated laundry onsite.